Available to healthcare professionals for the first time, this book contains proven screening tests to measure neuromotor immaturity in children and adults in order to provide a basis for referral and help. 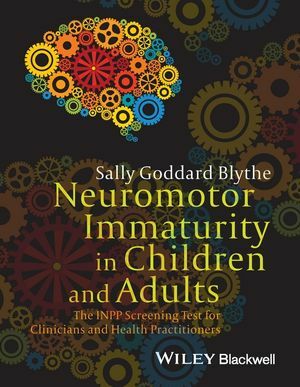 Sally Goddard Blythe is International Director of The Institute for Neuro-Physiological Psychology (INPP) in Chester, UK. She is the author of seven books on child development, including Assessing Neuromotor Readiness for Learning: The INPP Developmental Screening Test and School Intervention Programme (Wiley-Blackwell, 2012), The Genius of Natural Childhood (2011), and Attention, Balance and Coordination: The A.B.C. of Learning Success (Wiley-Blackwell, 2009).